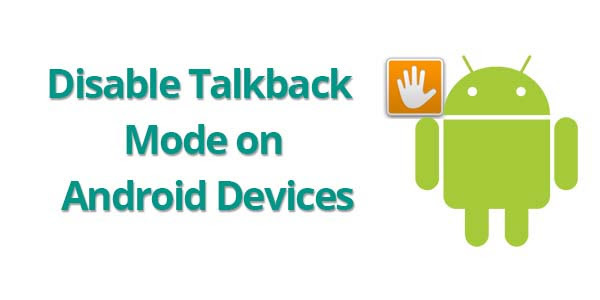 Home Tips-And-Tricks Users-Tips-And-Tricks How to Disable TalkBack Mode on Android Devices? How to Disable TalkBack Mode on Android Devices? Talkback is a special feature in Smart phones oriented to help blind and people with low vision. Blind people cannot see what’s happening on the screen of their android phone. To make them feel easy and comfortable to use such android phones, android operated this feature. In this feature soft voice of an adult girl spokes what we do on our screen. If you have got an android phone with android 4.0 and great, no matter if your phone is LG, HTC, Motorola, Nexus device or latest Samsung Galaxy s6, Galaxy S6 edge, Galaxy j7, your phone has got Talkback feature. It’s easy to enable this property but to disable though it’s not difficult we must use little trick. We people who do not have problem on our vision feel irritating. We mostly enable this feature just to check. Once I also did it. To see how it works I enabled it but later on I felt irritating it took a lot of time for me to disable. When I tried to disable, I needed to scroll down but all the time I tried to scroll down, display property of setting got clicked. Finally I got solution of that. It’s easy; let me describe it step by step. Step 1: By swiping your two fingers simultaneously slide down your notification but be sure your two fingers are not attached and choose “setting”. Step 2: To disable Talkback, you must reach to accessibility but this is not seen directly when we reach to setting. So, again use your two fingers and swipe simultaneously to reach to accessibility. Step 3: Press to accessibility and double tap to open it. Step 4: You can see talkback at the top and there is on/off button. Then, turn off the talkback property by double tapping it. This is how, Talkback property can be disabled. I hope this article helped you.